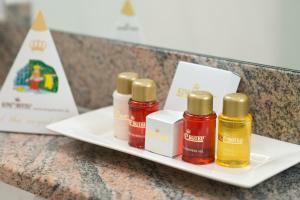 A 3-minute walk from Munich Central Station, this grand hotel offers free use of the spa area. Its elegant rooms feature a four-poster bed, Nespresso coffee machine and a flat-screen TV. There is free WiFi access available. 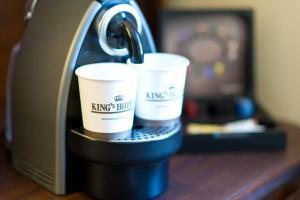 The 4-star King’s Hotel First Class serves a large breakfast buffet in its breakfast room with wooden panelling. Guests can enjoy drinks beside the open fire in the spacious lobby. The Relaxanum Spa features a Finnish sauna and a peaceful relaxation room with music. 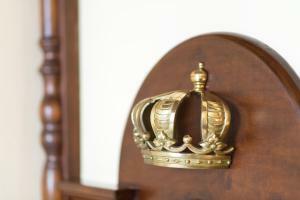 Each room at the King’s Hotel is air-conditioned and includes an iPod docking station, a floor-to-ceiling window and quality wooden furniture. The modern bathrooms are fitted with heated towel rails. Guests are within 500 metres of restaurants, bars and public transport services. There are direct trains to the Theresienwiese ‎ (site of the Oktoberfest), Marienplatz Square and Munich Airport. Please note that children up to 2 years sleep in a baby cot for free. Guests are required to show a photo identification and credit card upon check-in. Please note that all Special Requests are subject to availability and additional charges may apply.